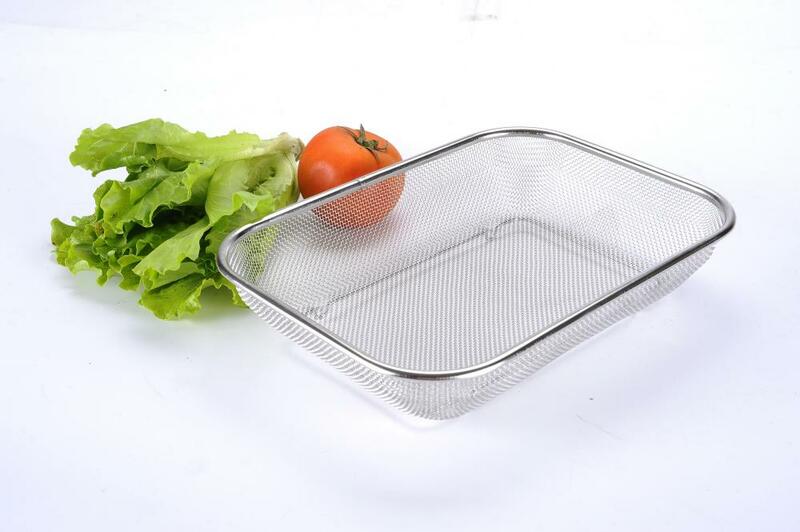 A sieve, or colander, is a device for separating wanted elements from unwanted material or for characterizing the particle size distribution of a sample, typically using a woven screen such as a mesh or net or metal. The word "sift" derives from "sieve". In cooking, a sifter is used to separate and break up clumps in dry ingredients such as flour, as well as to aerate and combine them. A strainer is a form of sieve used to separate solids from liquid. Looking for ideal Rectangle Strainer Manufacturer & supplier ? We have a wide selection at great prices to help you get creative. All the Vegetalbe Colander are quality guaranteed. We are China Origin Factory of Mesh Strainer. If you have any question, please feel free to contact us.